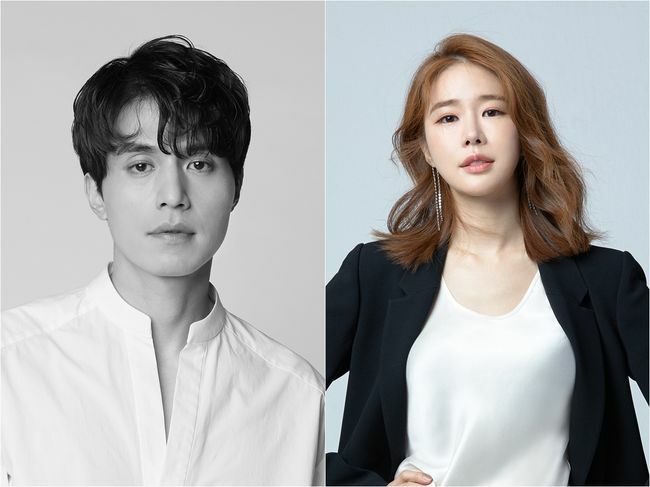 On October 19, tvN’s new drama “Touch Your Heart” confirmed Lee Dong-Wook and Yoo In-Na as its lead roles. After showing off much chemistry in 2016 drama “Goblin,” the actors finally reunite in the upcoming drama. “Touch Your Heart” tells a story between a talent lawyer and a “used-to-be” actress, who disguises herself as a secretary to work for him. Lee Dong-Wook confirmed to play in the role of the lawyer, Kwon Jung-Rok. He is a talented, rather workaholic lawyer, who maintains his No.1 spot for winning the most cases as his law firm. With his killer physique and attractiveness adding on top of his intellect, Lee plans to sweep the female audience off their feet. On the other hand, Yoo In-Na will take on the role of Oh Jin-Sim, the former actress. While she used to be at the top, promoting under the name of “Oh Yoon-Seo,” she encounters the downfall due to a scandal with a grandson of a chaebol, who is also a lawyer. In order to clear herself from scandals and rumors, she disguises herself as a talented secretary to get a job. She has no sense of reality, if not turn everything in her life into a drama scene. Furthermore, director Park Jun-Hwa, who also directed tvN’s “Let’s Eat” and “What’s Wrong with Secretary Kim?” has confirmed to direct the drama, further increasing the expectation from the public. Meanwhile, tvN’s new drama “Touch Your Heart” aims for a premiere sometime in January, 2019.